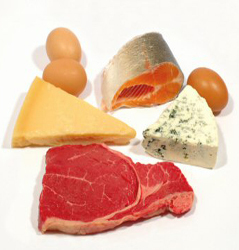 All fats contain a mixture of these types of fatty acid, but some fats and oils contain more of one type than the others. 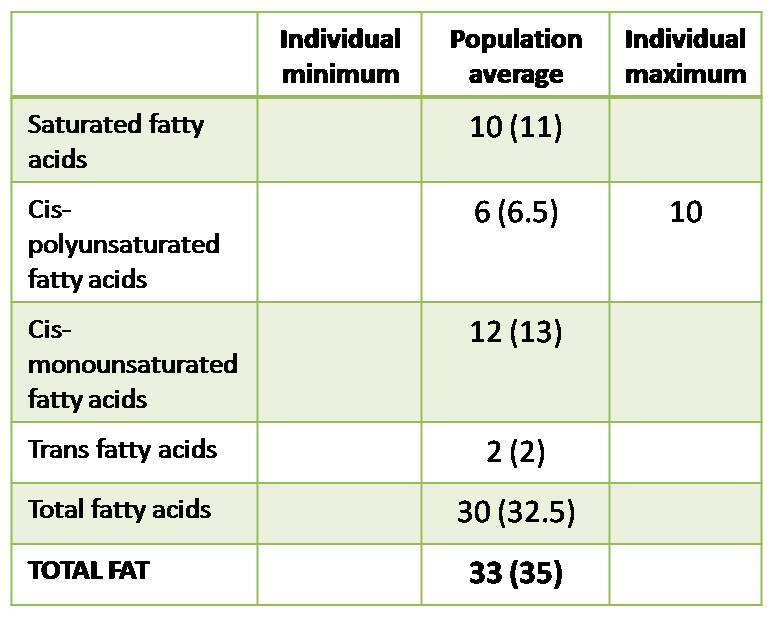 Naturally solid fats tend to contain more SFAs, whereas liquid oils tend to contain more PUFAs. For example, olive oil contains ~79% of the MUFA oleic acid. 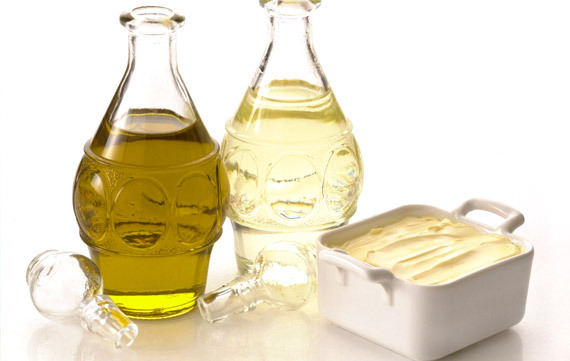 Oleic acid is found in nearly every type of fat or oil in nature, but in differing quantities. 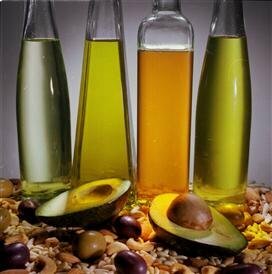 MUFAs are found principally in olive oil, rapeseed oil, groundnut oil, many nuts, olives and avocados. They feature significantly in the typical ‘Mediterranean Diet’, which has been shown to have many health benefits. Of the PUFAs, there are 2 that are termed essential fatty acids (EFAs) – that is, the body cannot make them and therefore must take them in from the diet. One of these EFAs is an omega 3 fatty acid, the other is an omega 6 fatty acid. 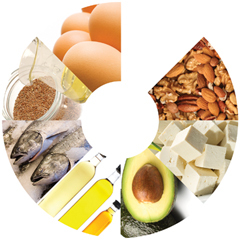 • Omega 3 FAs: found primarily in walnuts, flaxseeds, hemp seeds, soy, pumpkin seeds and their oils. Oily fish contain another omega 3 fatty acid, EPA, that is important in the body too but we can make it ourselves if we have the omega 3 EFA. The Government recommends that the balance of Omega 6 to Omega 3 fatty acids is no more than 5:1. Some nutrition professionals consider that the ratio should be 3:1, or even 2:1 for better health.